Today oak wood is commonly used for furniture making, flooring and barrels for wine and whiskey making. 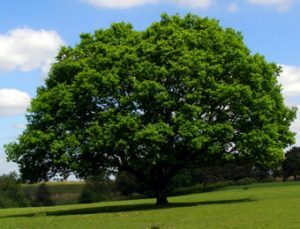 Oak trees grow slowly and live for a long time. This long, slow development gives oak wood great strength. Oak wood has a greater density than the wood of most trees. Modulus of rupture shows how much weight you can put on a substance before it will break. 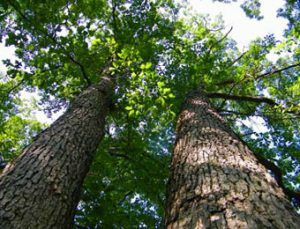 The wood of the live oak surpasses most trees in the fracture test; only such woods as ironwood and hickory can support more weight without breaking. Oak wood is durable and resistant to decay. 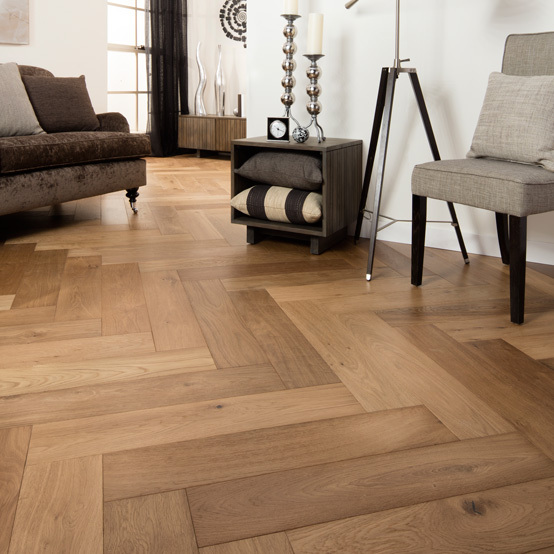 Oak is an exceptionally durable material for flooring due to its resistance to wear. This makes it the perfect choice for high traffic areas in the home. 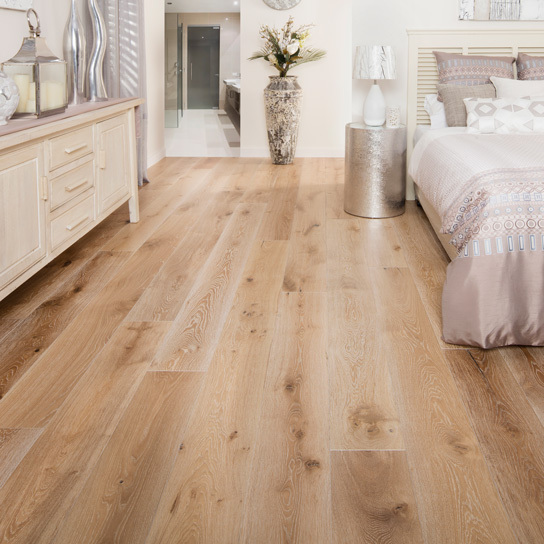 European oak is especially resistant to liquid permeation and is therefore ideal for kitchen and bathroom flooring. Oak handles gluing, drilling and machine cutting well, which allows for ease of installation when fitting flooring. 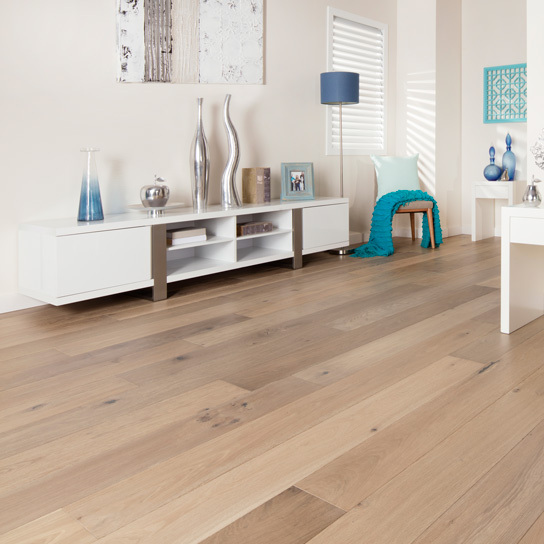 In addition to being an attractive flooring option whilst also being able to with-stand wear and tear, Oak is also a more hygienic approach to flooring over such other choices like carpets. 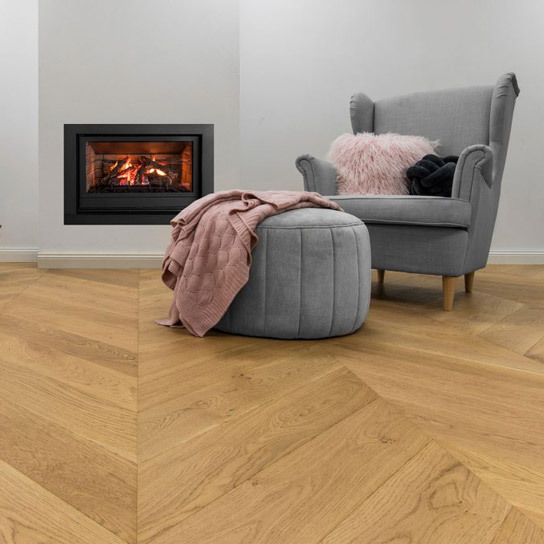 Oak is extremely easy to clean as it does not hold parasites such as dust mites that breed inside carbon fibres which then in-turn can irritate such allergies like asthma that can not only affect adults but the entire family especially small children. Oak can be easily cleaned with the simplicity of sweeping a broom to remove not only dust but unseen parasites. 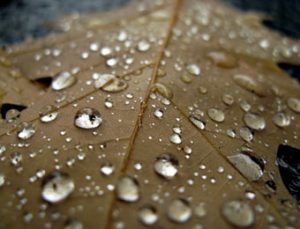 A warm disinfecting water solution also dramatically reduces these unwanted allergy irritants. To keep the beauty of the flooring, some simple maintenance is required. To prevent scratches and scuffs from furniture, the use of furniture pads and felt-bottomed castor cups is recommended by most manufacturers. Use a dust mop several times a week to keep the flooring dust free and clean the floor periodically with a product designed for use on wooden floors, taking into consideration the particular finish of your floor. Avoid the use of abrasive cleaners, sponges or cloths.